Enhance the contrast of your sitting area (Patios) with Ace interlock patio services. Interlock patios add beauty to the backyard of your house and gives you and your friends better living space. 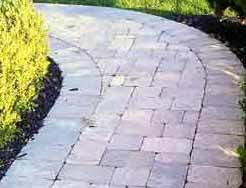 At Ace interlock patio service, we offer you wide range of stone design and patterns which have high durability with strong foundations. In return you get better return of investment and better peace of mind. Give a new look your front-side entrance walkways, side pathways and driveway extensions with Ace interlock walkway service. We give your walkways fresh and strong look with interlock walkways. With Ace Interlock services, your interlock base gets strong base foundation as we have all the necessary equipment to complete the job successfully. Now you can get strong, wide range color and long lasting interlock walkway in affordable prices with Ace interlock walkway service.